After I posted yesterday, Prime Minister Netanyahu addressed the nation in order to explain/defend the war with Hamas and the decision to accept the ceasefire now. He left me decidedly underwhelmed and considerably uneasy. 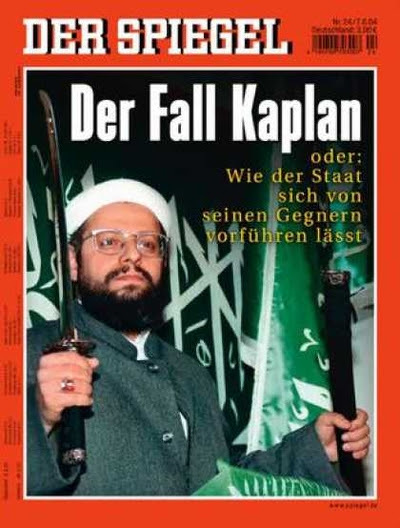 "The Kaplan Case," a German magazine cover story about the "Caliph of Cologne." I’m sure that - after today’s assessment - I will take a third and a fourth and fifth look at the ceasefire declared last night in Gaza. In many ways this is an evolving situation, more complex than it might have seemed at first blush. I begin by noting that impressions do matter – especially where deterrence is concerned. If Hamas appears to be the victor, that impression reverberates internationally in a way that is detrimental to our concerns. And in any event the sight of celebrating Palestinian Arabs in Gaza, which we have been shown in news video clips over the past several hours, is extraordinarily galling. However, there are a couple of points that must be made with regard to this “victory” celebration. Arlene Kushner on the Israel-Hamas Ceasefire: Are We Looking At A Resumption of Hostilities During Rosh HaShanah and Yom Kippur? The truth: There is no entirely satisfactory resolution to our war with Hamas (the war that is not called a war). 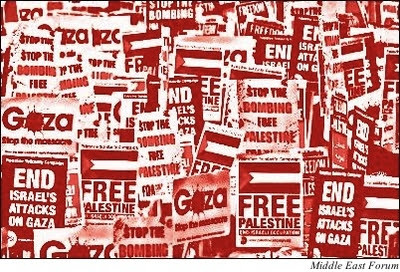 Aside, of course, from that “ultimate” resolution in which we would fully retake Gaza and banish all terrorists and jihadis - thereby creating a peaceful situation in Gaza and a situation of deterrence with regard to terrorists in other locales – and then rebuild Gush Katif, helping the former residents to return. Certainly I am among those who dream of such a thing. And I do believe in the importance of dreams. I know that there would be no Israel without dreams and the courage to act upon them. 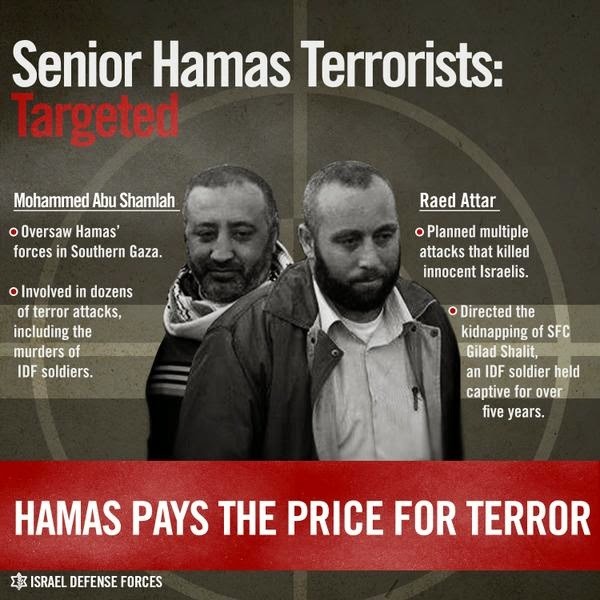 Israel has killed 3 Hamas terrorist leaders Wednesday night -- Hamas head of southern command Mohammed Abu Shamaleh, Rafah commander Raed Al-Attar, and senior weapons smuggler Muhammad Barhum. How many times? 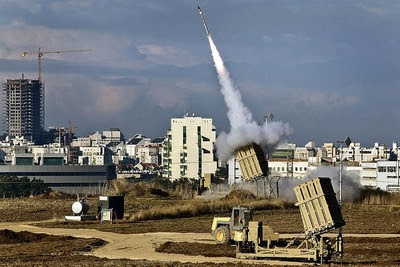 How many times do we count down as the final hours of a 72 hour – or 120 hour – ceasefire come to an end, aware that resolution of the issues between Israel and Hamas is exceedingly unlikely and wondering what will happen next?? The guessing is that it will either be active war or a tacit “quiet for quiet” situation. But I’m not going to discuss various pros and cons, various implications, now: That discussion will wait for my next posting. Here, briefly, I want to share a couple of selected pieces of news that are significant now – even before we know what follows this ceasefire. They will remain significant no matter how things play out because they are indicative of the underlying situation, and of certain attitudes and intentions. Tens of thousands of Yazidis have been driven from their homes in northern Iraq. 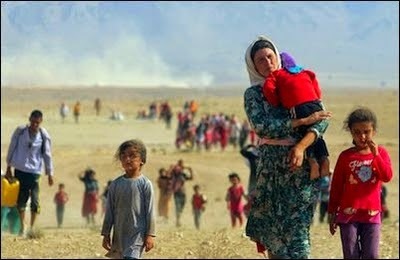 The Assyrian Aid Society of Iraq hasreported that children and the elderly are dying of thirst on Sinjar. Parents are throwing their children to their deaths off the mountain rather than see them die of thirst or be taken into slavery by IS. 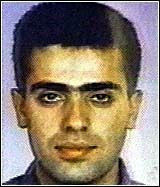 No matter what happens with regard to Hamas, it will be a mess of one sort or another. There are no clean, neat diplomatic solutions. There is either war now, with all the pain and cost that is necessarily concomitant, or there is the possibility (only the possibility) of a temporary diplomatic resolution that has the seeds of war embedded within it and that, while providing a respite, will inevitably backfire. Where are we, as I write? Let's admit it: Israel can never win the media war against Hamas. No matter what it does, no matter how hard it tries. Before I look at that forecast, let me mention “Kaitana Savta,” which translates literally as “Camp Grandma” (it sounds better in Hebrew). I am about to begin Kaitana Savta, which comes every year in August and is truly as much fun for me as for my grandkids. Starting tomorrow and in days ahead, I will have two and three kids sleeping here and going out where Savta takes them to have fun, or staying in to do games and arts and crafts. This year especially, this time will help me regain my balance - after weeks of focusing on the war. And so... I will be posting. But less frequently, and perhaps – after today – with shorter posts. Now, as to that forecast. I use the term cloudy in two regards. First, the clouds block our vision. And then, they suggest storms advancing. This article by Anne Bayefsky originally appeared on JPost. On August 6, 2014, the United Nations convened the entire global community for an unusual day-long “informal” session of the General Assembly. The purpose: to demonize the Jewish state and emasculate its right of self-defense. Israel was denounced for destroying “homes and neighborhoods” and “civilian infrastructure.” But the fact that Israel had destroyed an extraordinary labyrinth of 32 terror tunnels deep underground – running for miles, jam packed with explosives, opening near Israeli towns, and built for the sole purpose of killing Jews – somehow just got left out. How Committed Is The Obama Administration To Disarming Hamas Terrorists in Gaza? I will be posting less frequently now that the war is over – updating my readers often but not necessarily daily on the anticipated negotiations in Cairo and other matters of importance for Israel. Wishful thinking is an indulgence we cannot permit ourselves now. What is necessary is to look at the broader picture with eyes wide open. And to recognize that there is no perfect solution to our very difficult and complex situation. negotiations in Cairo - is probably the best solution for Israel at present. I write this fully aware of the fact that some strenuously disagree with me and believe Hamas must be taken out. Arlene Kushner: What Will Israel - Hamas Negotiations in Egypt Bring? I am chagrined but not exactly shocked by the latest turn of events here. As Shabbat went out, I had expressed surprise that – following the Friday ceasefire broken almost immediately by Hamas with an attack that included a suicide bombing and the kidnapping of Hadar Goldin – Netanyahu had not ordered a significant escalation of the operation in Gaza. When it was clear that what was happening was that IDF troops were being pulled back, a sense of great unease set in. It seemed the operation was about to be terminated in a move that many – myself very much included - saw as premature. But no, we were told that it was just a redeployment, because the tunnel phase of the operation was complete. We were told that the decision of the Security Cabinet was to continue the operation. What is more, there would be no participation in internationally promoted ceasefires, and we would not be going to Cairo to negotiate: If Hamas cannot be trusted to honor its commitment for a 72 hour ceasefire, there is no point in pursuing negotiations, went the explanation. 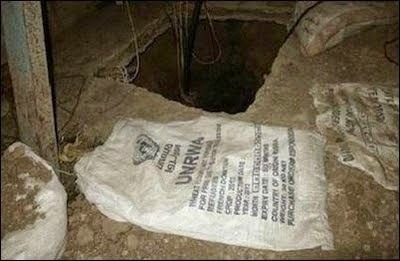 UNWRA supplies have been discovered inside Hamas terror tunnels. I left my posting abruptly yesterday because of the advent of Shabbat and want here to follow through. But it’s tentatively only, because indeed events are in the process of unfolding and we have to see what tomorrow and the ensuing days will bring. 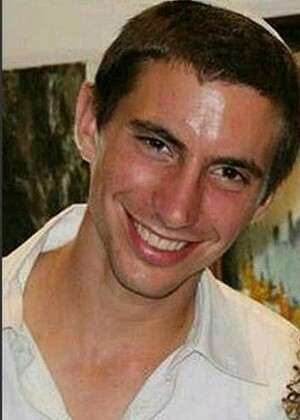 Quite frankly, I had expected to return to the news to learn that Israel was expanding the operation in the face of Hamas’s kidnapping of Second Lt. Hadar Goldin and the killing of two other soldiers, after a “mutual” ceasefire – that was supposed to include discussions in Cairo on terms for extending it - had begun. The sense of outrage was very real, the anger. It seemed finally the time to stop pulling punches and take down Hamas. I was particularly eager to see us go after Hamas leaders. Our whole nation is weary – strong, determined, clear about who we are, but weary. How could it be otherwise? We are contending with both an evil enemy and an insane world. What I wrote the other day – about how I would really need to post every two hours to keep my readers informed – continues to be the case. I will send this out as late as possible before Shabbat and post again after, as necessary.